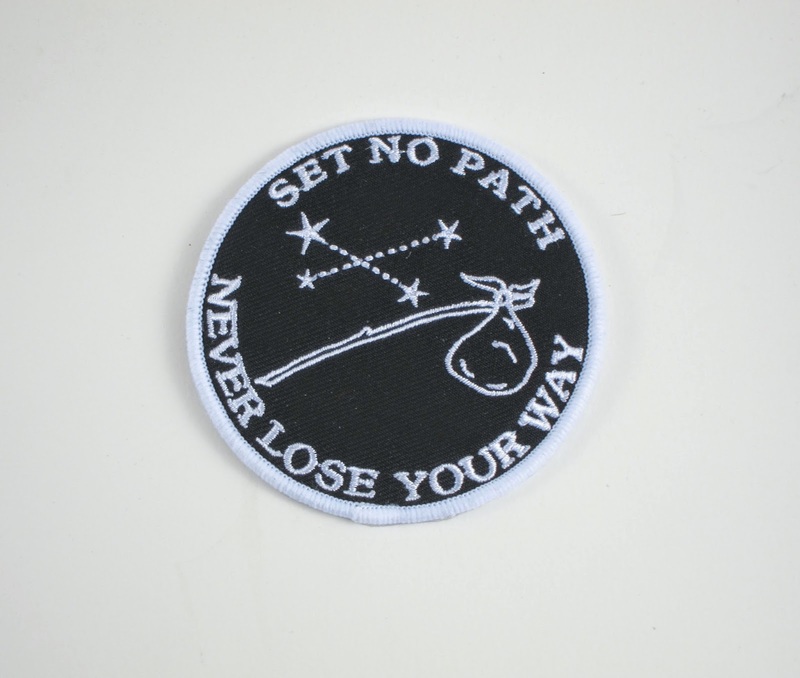 One thing I loveee to add to totes, jackets, coats and hoodies is pin badges and patches! This started when I was a kid when I used to get a pin badge or patch of my fave band or local bands at shows and loved showing them off. I haven't sewn this on yet as you can see but it's on the 'to-do' list! How awesome are these?! 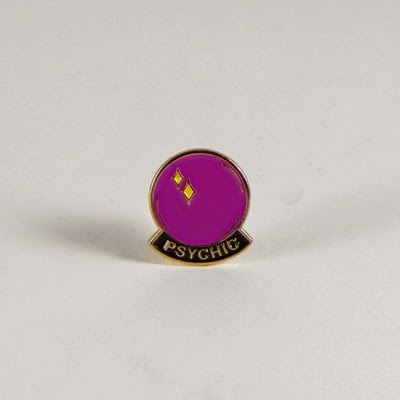 I especially love the 'Psychic' pin badge! 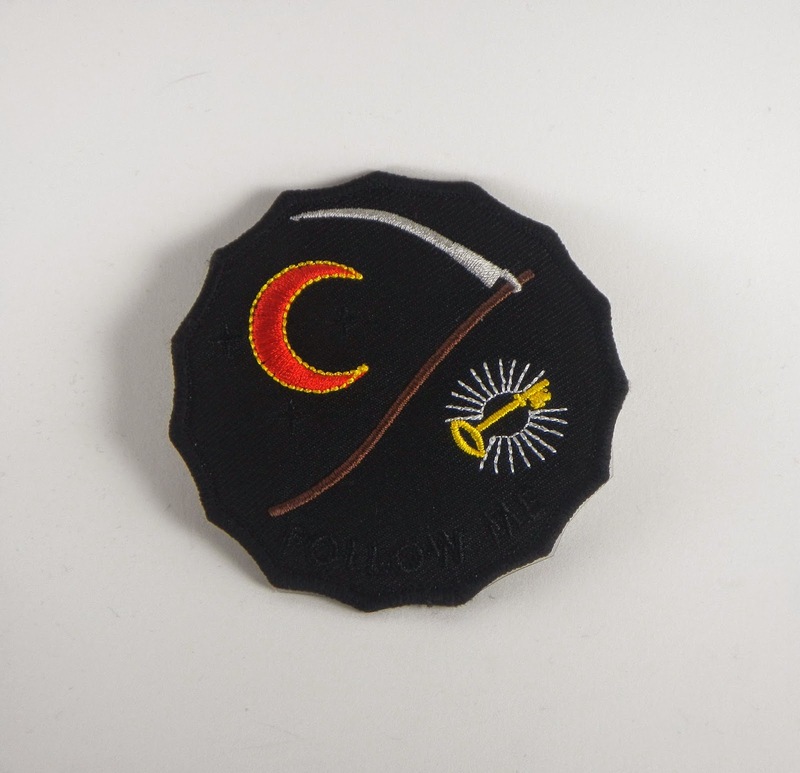 Do you wear any patches or pins or know of any other awesome sites? This weekend I'm off to Devon for a Wedding and a long weekender relaxing in the countryside. On Friday, as part of the long Easter weekend, we decided to head to Rhossili Beach (voted UKs BEST beach and 9th best beach in the world!). There were parts of the beach that were full (like 5 rows deep) of shells. I've never seen so many! This was at the top where you park, you have to walk down the winding hill (and then back up!). I loved it here it was so beautiful - hell of a walk though, I made sure I had my hiking boots on! Easter is this weekend (long weekend woohoo!) and it's all about the sweet treats! First of all I melted the chocolate in the microwave ('cus I'm lazy) then mashed up some shredded wheat and mixed it all together. I then put the nests into some cupcake cases and made a 'hole' if you will to put in my chocolate icing sugar. Next it was just a case of putting the chocolate chips and the little chick jellies onto the icing and waiting for them to set! I loved making these they took no effort and no time at all and tasted delicious. You cannot mess these up! Do you have an Easter treat recipes? I'm not normally a fan of 'wacky' looking prints and crazy clothing and always shyed away from Lazy Oaf as I wasn't into loud leggings and burger beanie hard. 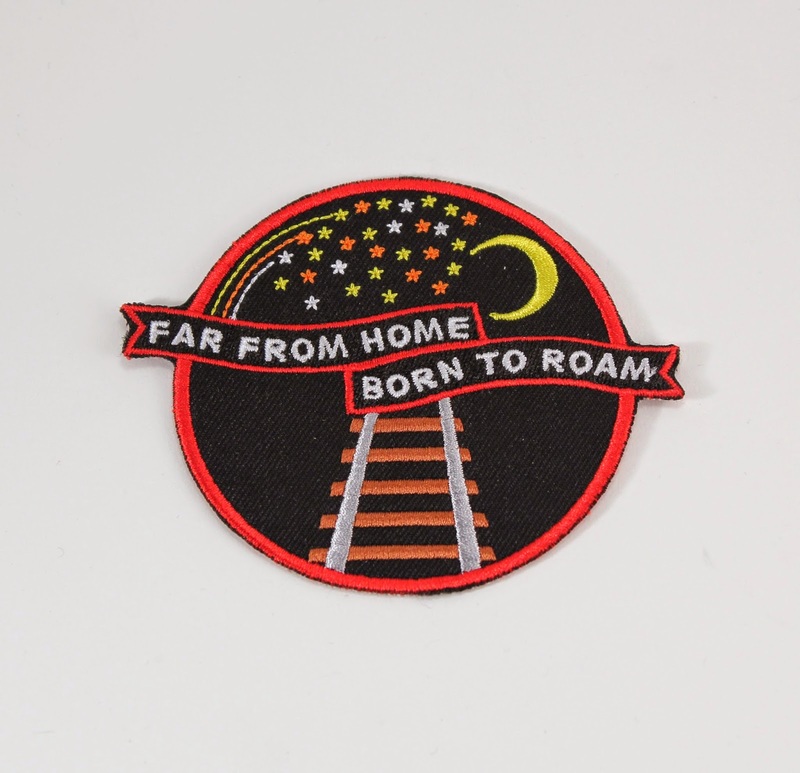 My feelings have changed since my most recent visit to their site and now I feel Lazy Oaf have changed quite a bit this S/S and toned it down//made prints that will suit even the timid people like myself. 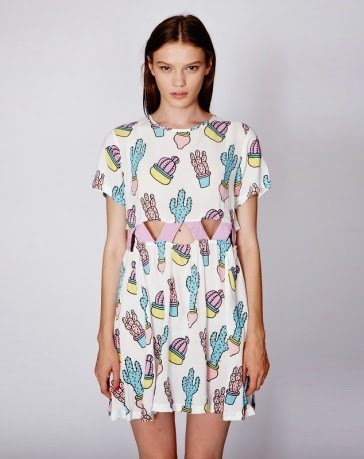 This is my perfect dress, loose fit, nice cut and Cacti allll over it! 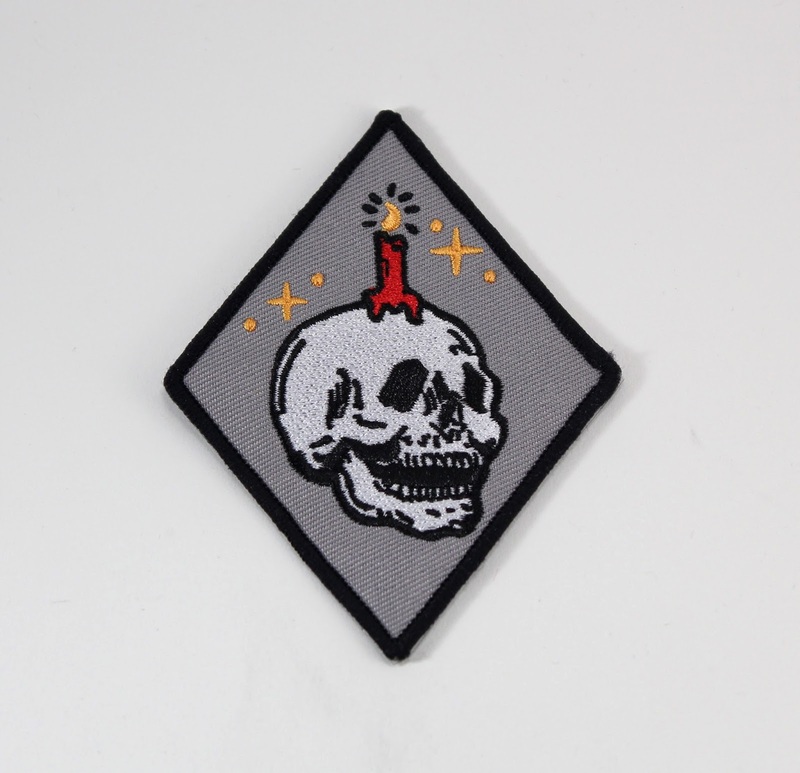 I think I would wear it to death. 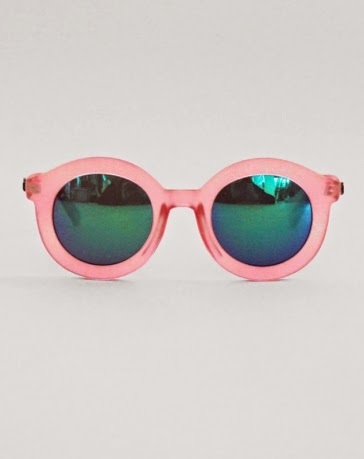 These would look slamming with the above dress. I love this, I don't think it comes with the under garments - if it did then it's the best dress ever! Sheer is so hard to pull off unless you are ultra skinny (which I'm most definitely not!). I love the shape on this dress, the little collar and button down is so cute. What do you think of Lazy Oaf? And how do you like these items? Wagamamas do the BEST events. I've been to 2 other events at Wagagmamas and despite being a massive fan of theirs - this 3rd one has to be their best yet! A very tiny group of 6 of us were invited to come and meet with their Executive Chef Steve and taste expert Christy Fergusson (of Channel 4 fame!) while we discuss our eating habits and try branching out of our comfort zones and trying different dishes. The reason why I say branching out as I'm sure any of you Wagaz regulars will know, most of us find our fave dish on the menu and stick with it - we go to Wagamamas to have THAT dish. I always get the Chicken Ramen (sometimes if I'm feeling crazy I'll go for the Chicken Katsu) and this event was set out to help me discover similar dishes on the menu. The first dish Steve handed to me was the Chicken Itame. I'm pretty fussy when it comes to curry based food however this was way too fragrant for me and the chilies in it made it too spicy. But I do love soupy dishes with meat and veg! Next up was the winner! Hitting the nail on the head by steering me away from noodles but still giving me a soupy, soy based dish was the Chicken Tama rice. I loved all the greens, the sticky rice and the soup that got soaked up into it - I will definitely be ordering this one! Steve had one more trick up his sleeve, he decided to go off the menu and create a special dessert for us Cardiff ladies: Katsu Curry Ice Cream! It was crazy my brain was telling me this wasn't right - hot Katsu curry sauce over cool coconut ice cream BUT my mouth was loving it! I hope the experiment with this a bit more and get it out there for more people to try! Since the introduction of the new placemats more people are trying new things which is awesome! The whole point of the campaign is to get people to steer away from their usual and to try something else. Some of the names are a bit wild and hard to say so with the placemats actually getting to see each ingredient in the dish is one great way of getting people to branch out. These pictures were taken a couple of weeks ago on a walk around a reservoir just near the Brecon Beacons. It was such a sunny day although there was a chill in the air. I actually had a little bird drama myself last night, if you follow me on Twitter then you will have followed it but for those who don't: Prince bought a baby pigeon into the house injured but not dead, I feared the worst for it however after some care and attention I managed to get it to a vet who said he has no serious injuries and will be able to go to a bird shelter this weekend for extra bird care and will be released in the next week. I was so happy and relieved that he was able to get some pain relief and some real treatment rather than suffer. Tonight I'm going to a couple pals to Ying/Yang Rebalance yoga which I'm super excited for! 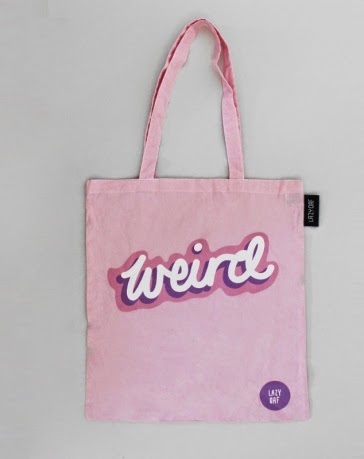 In a small competition-type challenge I was sent an image from one of my all time favourite websites, Modcloth. I was then asked to complete a look to go with it using other items from their website. The image sent out was this gorgeous polka dot 2-piece (also available in plus sizes! ), I love the halter neck and the hi-waist. 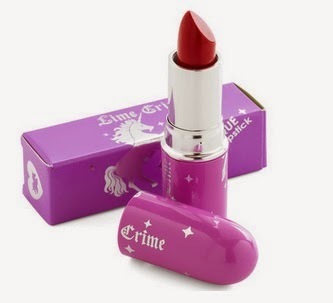 Lime Crime Lipstick in Retrofuturist. 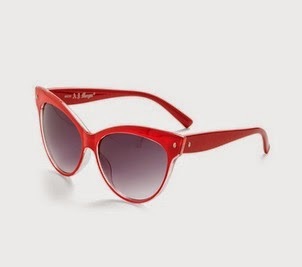 A glamorous deep-red to pop-off the retro look. 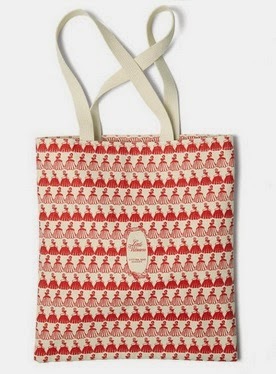 You can fit in all your beach/pool needs into this tote whilst showing off one of the most classic vintage books! 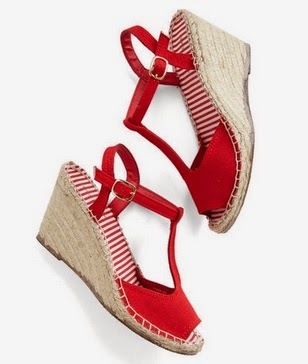 These nautical beauties are perfect for the strut to and from a lounger. 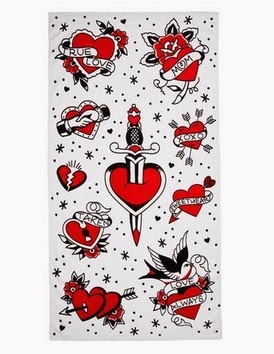 Cute little tattoos for an ultimate pin-up sunbathing time. 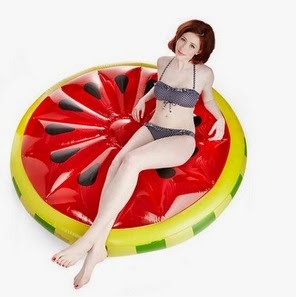 Watermelon Pool FloatThis is amazing! Imagine hoping on this and floating about the pool or sea. Still looking fabulous without getting soaked. 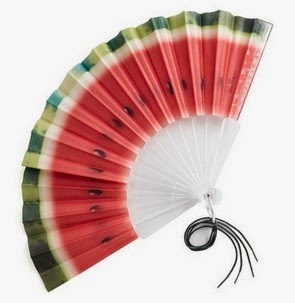 Watermelon FanThe sweetest accessory for keeping cool and remaining beautiful. What do you think of my look? Can you see this gorgeous future pin-up basking in the sun? Even if I don't win I had such a blast browsing and finding the best pieces!